JoJo will perform in Southern Arkansas University’s 11th-annual free spring concert at Story Arena on April 11, 2019. Doors open at 6 p.m. We the Kings will perform at 7 p.m. and JoJo will perform at 8 p.m.
JoJo notched a No. 1 on the Billboard Pop Songs chart with her debut single, “Leave (Get Out),” when she was only 13, and was the youngest solo artist to have a No. 1 single in the U.S. She followed up this success with “Too Little Too Late,” another Top 5 single, and the hit album The High Road in 2006. Her third highly anticipated studio album, Mad Love, debuted at No. 1 on the iTunes Pop Album Chart and No. 6 on the Billboard Top 200. 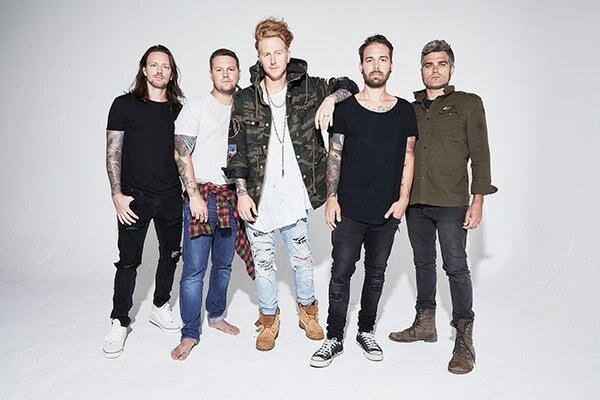 We the Kings consists of Hunter Thomsen (guitar), Coley O’Toole (auxiliary/background vocals), Travis Clark (guitar/vocals), Danny Duncan (drums) and Charles Trippy (bass). The band currently resides in Bradenton, Florida. Album releases include Self-Titled (2007), Smile Kid (2010), Sunshine State of Mind (2011), Somewhere Somehow (2013), and The Story of Tonight (2016). The concert is free and the public is invited to attend. No bags, purses or backpacks will be allowed. No alcoholic beverages, bottles, or drinks will be permitted. Previous performers have included Turnpike Troubadours, former SAU student and country music star Tracy Lawrence, pop duo Karmin, and DJ Pauly D.
Southern Arkansas University “feels like home” with personalized tour visits, faculty and staff who care about student success, and a caring campus community. SAU also offers traditional and unique academic degree programs that are ranked nationally for quality and affordability. Nestled in a quiet and beautiful part of south Arkansas, SAU is a great place to call home and to study a broad range of academic programs, including some unique offerings to the state and region. Along with boasting a complete college experience on campus, the University is a short drive from outdoor activities and is central to many regional hubs, such as Texarkana, Shreveport, Little Rock, etc. Established in 1909, SAU has built on its dedication to student achievement and continues to grow, both on campus and online, with more than 80 degrees in four distinct colleges and the School of Graduate Studies.